If there’s one thing we’ve heard from travellers time and time again, it’s that one lingering regret: “I wish I’d booked just a little more time in Vancouver.” A creatively-charged city set directly on the ocean’s edge – with snow-capped mountains backing it up and a diverse range of cultures driving it forward – it’s stunning, welcoming and full of surprises just waiting to be revealed. Sure, plenty of people come by on a cruise or pull in for a peek, but trust us – you’re going to want to spend at least 72 hours here, especially in the fall and winter months. This article will give you the complete run down of what to do, where to stay and the best places to eat based on our experience as Vancouver-based travel experts. Psst… there’s a sample itinerary at the bottom of this article, but feel free to mix and match or contact one of our travel designers to customize a trip entirely to you! The whole point of visiting Vancouver in the winter is the experience, and this city is prepped and primed with the very best activities. The theory that Canada freezes over is a myth, particularly for Vancouver as it has one of the mildest climates in the country. While the nearby mountains get doused with enough powder to keep skiers happy, the streets stay clear enough for you to comfortably walk around. So, the question then is this – what’s first on the agenda? To make the most of the outdoors, start by taking the short 20-minute trip to the North Shore. Here you’ll find the famous Capilano Suspension Bridge, along with its twinkling Treetops Adventure and the thrilling Cliffwalk experience. 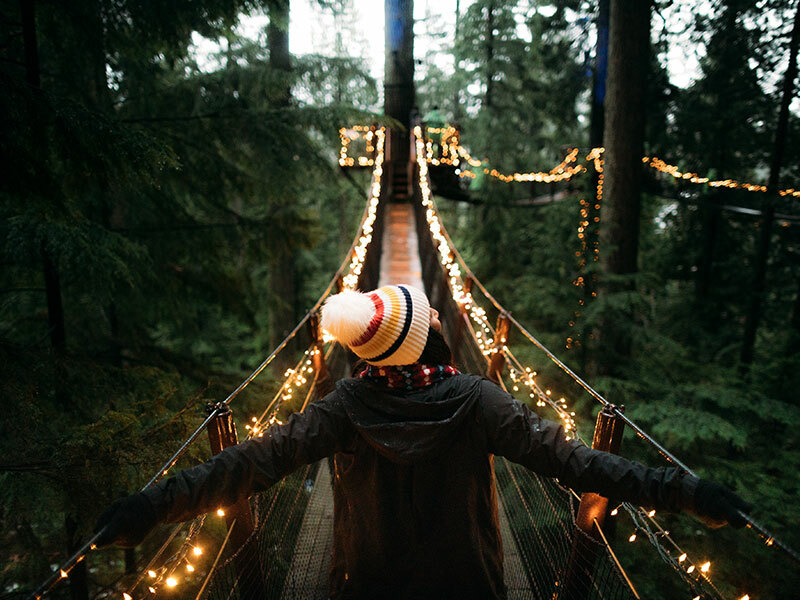 Wandering through cedar-scented rainforest, you can brave the bridge dangling 110 feet above the forest floor, then continue up to Grouse Mountain where even more magic awaits. 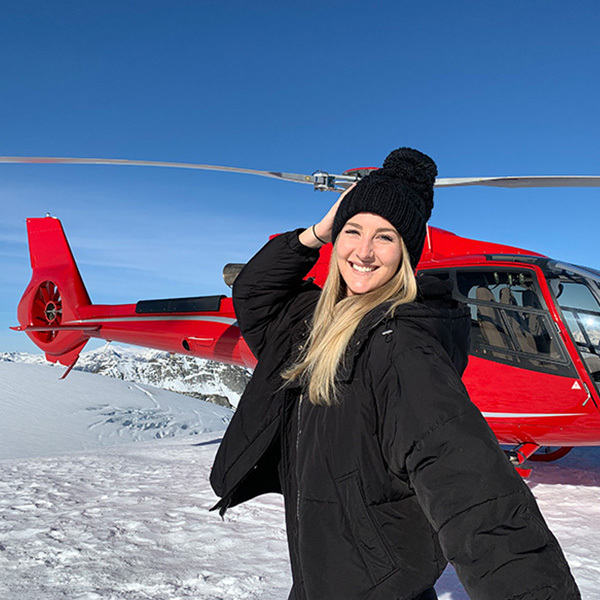 The Peak of Christmas event takes place annually over the holidays, and a private snowshoe and fondue tour is the perfect way to kick things off. After adventuring through sparkling snow-topped trees and along pristine trails you’ll indulge in ooey-gooey cheese, decadent chocolate or even a broth pot of fondue. 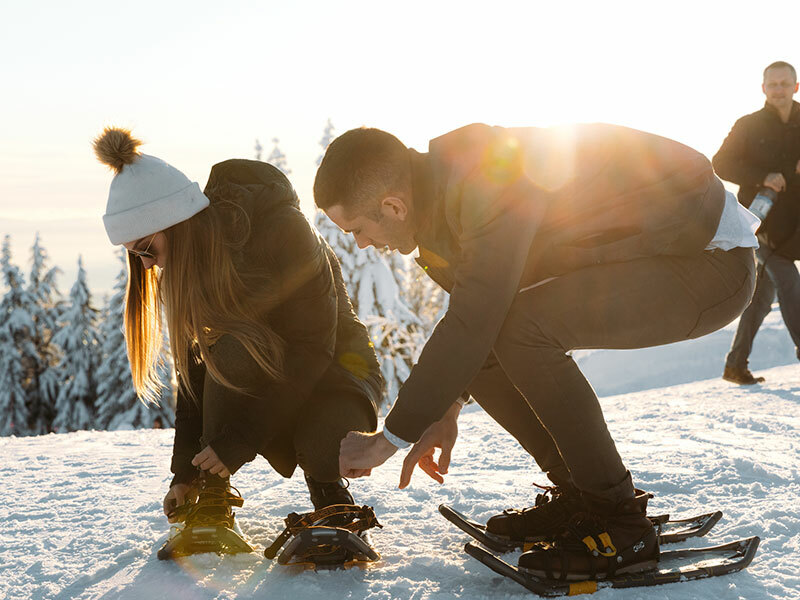 If you plan on visiting Vancouver outside of the Peak of Christmas, Grouse Mountain still offers lots of seasonal activities, including the very same snowshoe and fondue tours and night skiing or snowboarding – a must-do for mountain sports enthusiasts! Back in the city, downtown is alive with activity. Shop through the boutiques of Gastown and Yaletown or for designer labels on Alberni, or continue your nature fix with a walk or bicycle ride through Stanley Park. Occupying an enormous 400 hectares on the western side of Downtown Vancouver, you can take your pick of trails or side with the seawall, and enjoy a beautiful display of lights as the evening closes in. Finish things off with a trip to the Vancouver Christmas Market or ride with Flyover Canada, then save an entire afternoon to enjoy a day at the spa. Rosewood Sense Spa, Willow Stream Spa, the Spa at the Wedgewood and CHI, The Spa are all luxurious options that will leave you melting with relaxation, readying you for another day in Vancouver’s winter wonderland. Understanding Vancouver’s neighbourhoods will prove as an advantage, so before we go any further we’ll get you sorted with the basics. Downtown you’ll find Gastown, Yaletown, Chinatown, the Entertainment District, the Central Business District, Coal Harbour and the West End. Winter is an amazing time to be in any of these districts, as you can really blend in with the locals by way of holiday shopping and dining. Gastown is the oldest, where restaurants, bars and boutique shops line cobblestone streets topped with warm and inviting lights. Yaletown is just south, a once-industrial area now known as the place for the pretty to see and be seen, and Chinatown is a historic place turning out a growing number of trendy restaurants. The entertainment and business districts make up the middle of downtown (where high-end shops, more restaurants and nightclubs abound) and Coal Harbour lines the northern edge with sparkling skyscrapers and views of the snowy mountains in West and North Van. Last but not least, the West End is a largely residential area with bustling restaurants and a beach, and the renowned Davie Street is the proud home of the LGBT community as well. With some newfound knowledge of the area, it should now be much easier deciding where to stay. 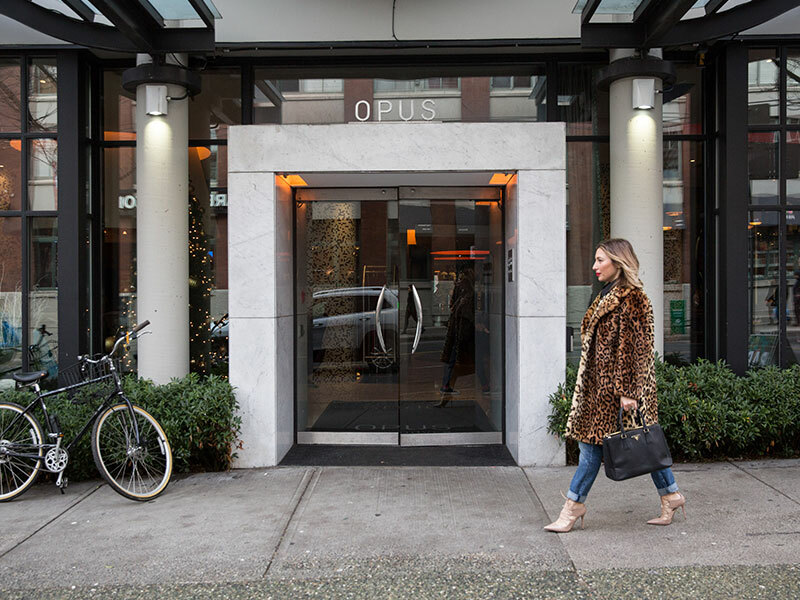 For the young or young at heart we have the Opus in trendy Yaletown, a boutique hotel capping off the area’s two most happening streets. Keep an eye out for Yaletown’s Candyland event, as it occurs every year and takes place on your very doorstep. The Loden is another stylish option for those who want to stay somewhere contemporary, offering a somewhat subtle location in the shimmering heart of Coal Harbour. 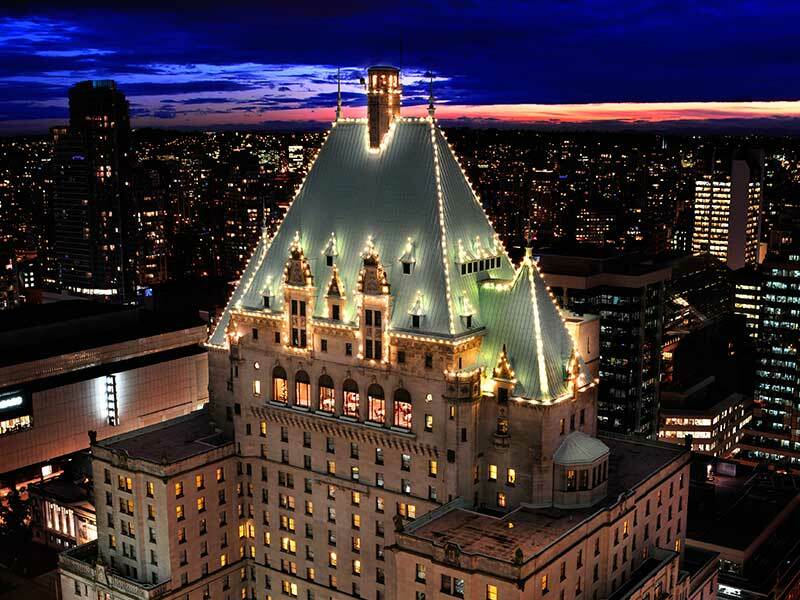 Walk a couple blocks closer to the water and you’ll find the Fairmont Waterfront – known for its dramatic views and signature Fairmont service – or to the middle of downtown to find the Fairmont Hotel Vancouver which steals the show with first timers. Regarded as the sparkling ‘Castle in the Sky’, it has a commanding presence in the centre of downtown, and watches regally over the city while its peaks and turrets puncture the sky. Almost adjacent is the Hotel Georgia – a boutique hotel more contemporary in style but equally lavish in its offerings. Time it right and you may just catch the hotel’s rooftop Reflections bar holiday pop-up, which sees strings of festive lights, cozy blankets and a menu of mouthwatering comfort foods. Winter marks a special time for Vancouver’s food scene, as it plays host to two of the city’s biggest culinary events. Dine Out Vancouver spans 17 days, gathering over 250 different restaurants that each offer unique three (or more) course prixe-fixe meals at $20, $30 or $40 per person. 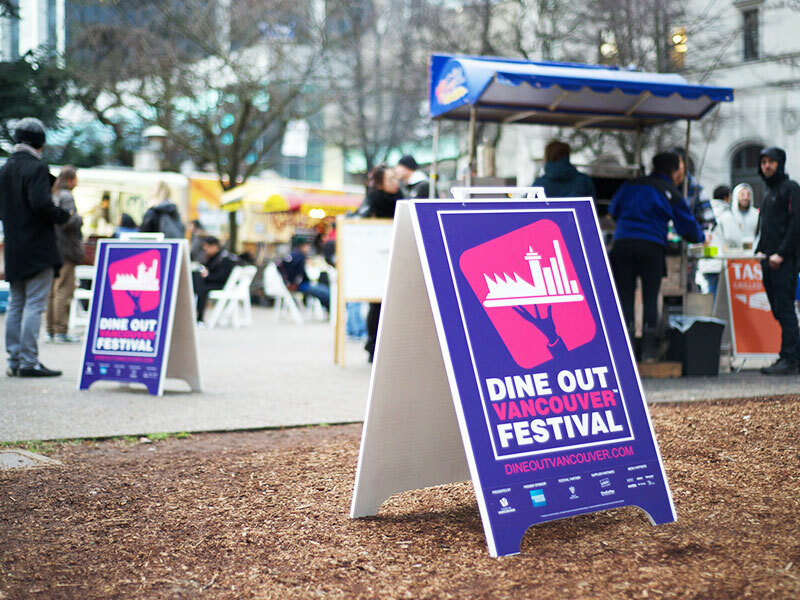 Time your visit with this event to taste the best creations in the city, or pair it with the Vancouver International Wine Festival to sip your fair share of samples. Food and brewery tours of the famous Granville Island and Vancouver’s booming beer scene can be booked to work with whichever days you visit. Consider these an introduction to the city’s culinary creators, as it can be tough to know where to start with all the award-winning restaurants in the area. A culturally-diverse enclave of Asian eateries, stylish seafood restaurants and perfectly-executed fusions of everything in between, you’ll be as spoilt for sushi in Vancouver as you would be in Japan, as delighted by dim sum as you would be in China, and as satisfied by fresh seafood had you pulled it from the ocean yourself. It’s impossible to list even just the city’s best, but you’d be remiss not to at least try the following: Blue Water Café, Yew, Coast and Lift for seafood; Kirin, Miku, Marutama Ra-men and Phnom Penh for a variety of Asian; Burdock & Co, Forage, Black & Blue and Glowbal for west coast; and The Keefer Bar, Botanist and Reflections for drinks. Of course, other cuisines can be just as readily enjoyed, and a special mention to Kissa Tanto’s Italian Japanese fusion is deserved. 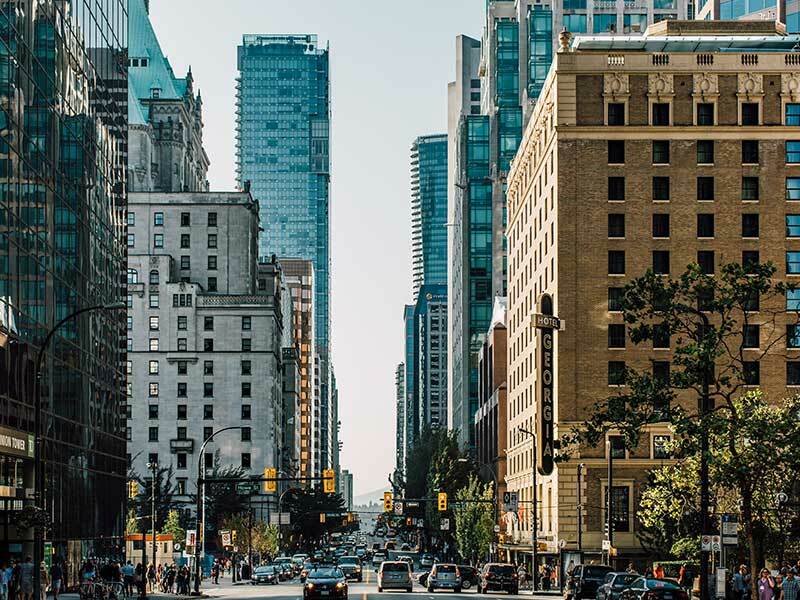 Upon arriving at the Vancouver International Airport, our itinerary includes a transfer to your downtown hotel so you can settle in. From here, the rest of the day is yours to explore the city. Start with a walk or tour around downtown to familiarize yourself with its neighbourhoods, then decide where you’d prefer to spend the majority of your time. Go shopping in Gastown, Yaletown or along central Robson Street, then head to Glowbal or Black & Blue for an included tasting menu of your choice. Once you’ve had your fill, wander North into Coal Harbour to experience FlyOver Canada, an exhilarating 8-minute ride that simulates flying over the country. Come nightfall, explore Gastown’s happening nightlife or return to your hotel to relax. As it’s your one full day in the city, today is packed with winter activities. Begin with breakfast at Yew to enjoy sustainable coastal fare, then head West to rent a bike and ride a quick loop through Stanley Park. Wander back East into Coal Harbour to have a sushi lunch at Miku, then go to Canada Place to board the free shuttle to Capilano Suspension Bridge Park. 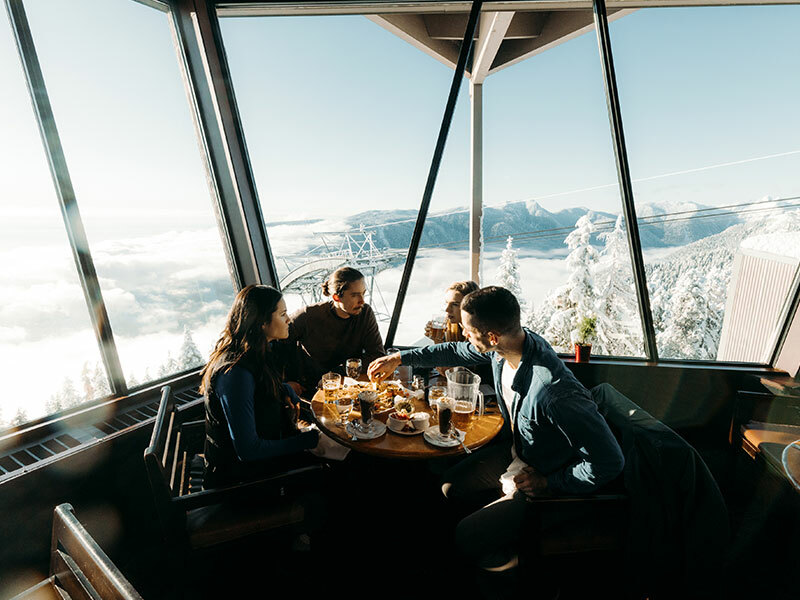 After crossing the famous bridge and adventuring through festive evergreen trees decked with lights, it’s on to Grouse Mountain where you can enjoy an evening of snowshoe and fondue. 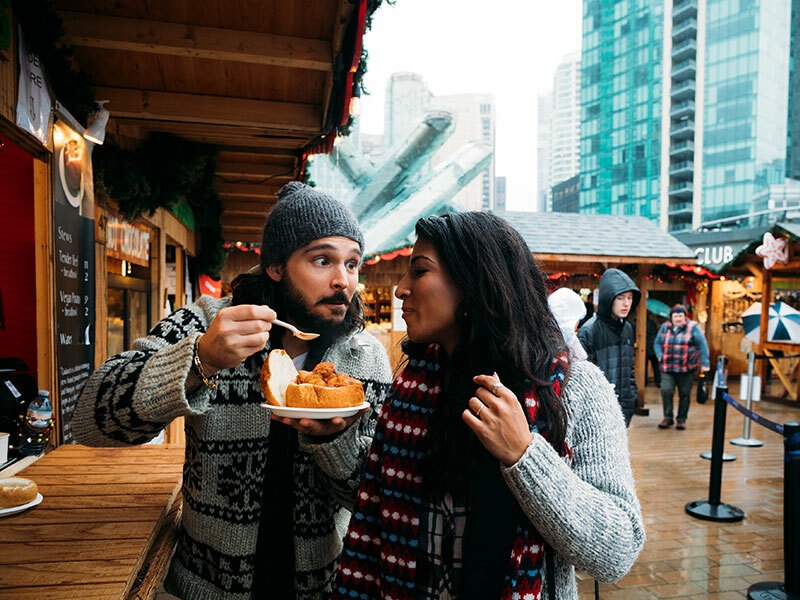 Once returning back downtown, sip hot apple cider and peruse the magical Vancouver Christmas Market stalls, then return back to your hotel for a well-deserved spa treatment and restful sleep. Before you depart Vancouver, Granville Island is a must. Head across the bridge by the same name and then below it to browse artisan workshops, stores and enjoy a breakfast of your choice. 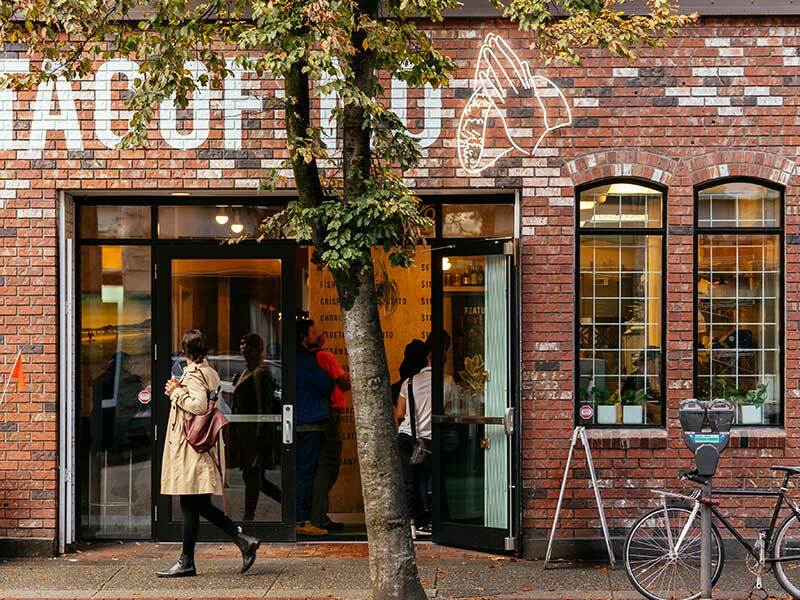 Food tours are available here for those who want to sample different things, or you can trade Granville Island for Gastown and traipse through its wintery cobblestone streets. We highly recommend spending some time sampling the restaurants of the area before you pick up your bags and check out of the hotel. We’ll arrange for another transfer to get you back to the airport, and send you off on your journey home with plenty of memories from your stay. Have longer than 24 hours? 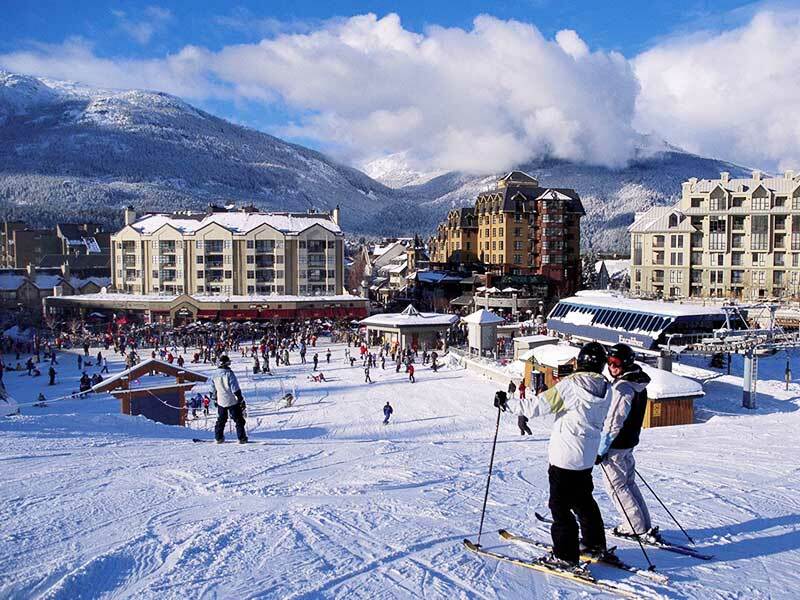 Take the short 2 hour trip to Whistler to add a few nights of skiing or winter adventures spread across two incredible mountains. 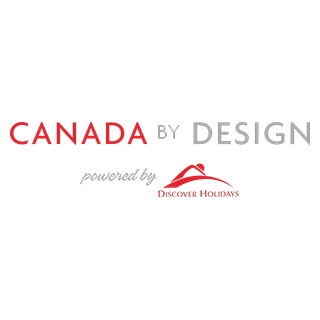 Click to view our Whistler Ski Package, our combined non-ski Whistler and Vancouver package or get in touch with one of our travel designers to create a custom trip that’s just for you. Prefer to simply stay in touch? Subscribe to our newsletter for up-to-date deals, trip ideas and more!